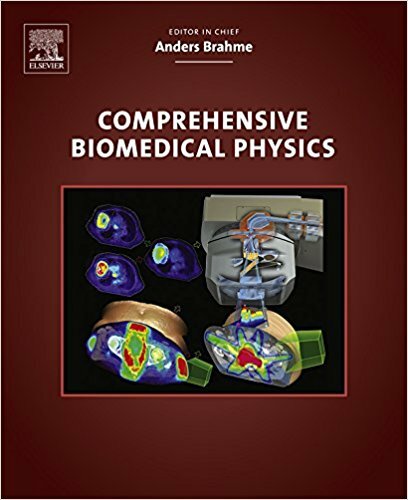 Comprehensive Biomedical Physics is a new reference work that provides the first point of entry to the literature for all scientists interested in biomedical physics. It is of particularly use for graduate and postgraduate students in the areas of medical biophysics. This Work is indispensable to all serious readers in this interdisciplinary area where physics is applied in medicine and biology. Written by leading scientists who have evaluated and summarized the most important methods, principles, technologies and data within the field, Comprehensive Biomedical Physics is a vital addition to the reference libraries of those working within the areas of medical imaging, radiation sources, detectors, biology, safety and therapy, physiology, and pharmacology as well as in the treatment of different clinical conditions and bioinformatics. This Work will be valuable to students working in all aspect of medical biophysics, including medical imaging and biomedical radiation science and therapy, physiology, pharmacology and treatment of clinical conditions and bioinformatics. Anders Brahme is Professor of Medical Radiation Physics since 1988 at the Department of Oncology-Pathology, Karolinska Institutet and Department of Medical Radiation Physics, Stockholm University, and Director of the Research Center for Radiation Therapy, Karolinska Institutet as well as at the International Open Laboratory at NIRS Chiba, Japan and Honorary Professor at the Cancer Institute and Hospital, Chinese Academy of Medical Sciences, Peking Union Medical College. He got his Master of Science degree in electrical engineering at the Royal Institute of Technology in 1969 and his Ph.D. thesis on the “Application of the Microtron Accelerator for Radiation Therapy” was presented 1975 at Stockholm University. Since then he has been active in the development of radiation dosimetry, quality assurance and radiation therapy equipment and techniques for most types of radiation from electrons and photons to neutrons, protons and heavy ions. He initiated the development of inverse radiation therapy planning and intensity modulated radiotherapy using scanning beams and dynamic multileaf collimator systems. During the last three decades he has been mainly active in the field of radiation therapy optimization based on accurate radiobiological models describing the response of tumors and normal tissues and developing optimal techniques for Light Ion therapy. By such techniques he has been able to maximize the expectation value of the complication free tumor cure under consideration of intensity modulation, dose fractionation, choice of radiation modality, the number of beam portals and their angles of incidence as well as uncertainties in geometrical and biological parameters. He also initiated a hand full of companies during these developments.